Be sure to be noticed this season in these must-have bike shorts. 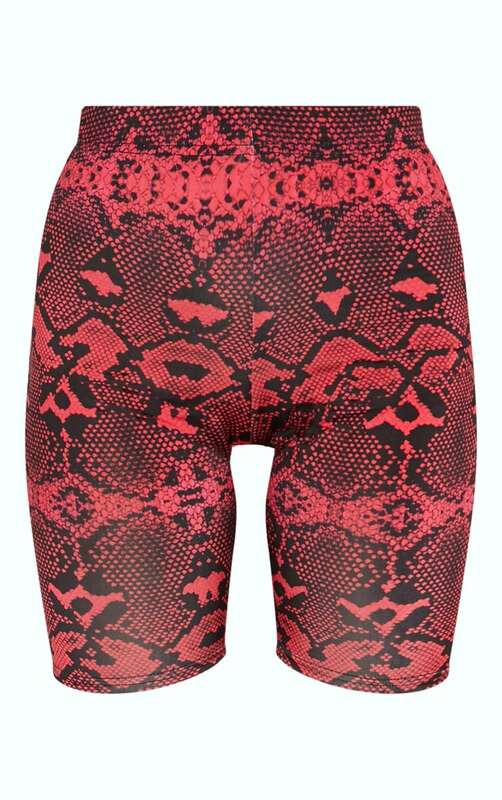 Featuring a red slinky material with a contrasting snake print design and an elasticated waistband. Team this with the matching crop top and barely-there heels for a night out with your bestie.